As you might now, Dublin is a well-known city for having four seasons during one day. The best season to come here would be summer although you might need to take higher prices into consideration. Winter seasons in Dublin are nice as well and offer lots of fun things to do but you should not forget to bring a waterproof coat, an umbrella and some warm sweaters. You most likely will score some nice deals. Ireland has become an expensive location to travel and that’s why you might consider to book your flight as early as possible or travel off-season. Airlines such as Ryanair, EasyJet and Aer Lingus bring you to Dublin many times a week. Websites such as Expedia bring you here for a reduced fare. Please note that as a student, you are eligible for discounts with the flight companies. Once arrived at the airport, it will be very easy since the airport is quite small and a bus called AirLink will bring you wherever you want for only six euros. Finding affordable accommodation can be hard in big cities such as Dublin. That’s why we suggest to book as early as possible to find the best rates. Being flexible about travel dates might be an advantage and might allow you to stay in the hotel of your dream without making any sacrifices. Comparing prices online is always a good idea, websites such as Expedia and Travelocity make that possible. Booking directly via a hotel’s website is smart due to the fact that you have a chance on discounts or special treats. You should not be afraid to negotiate with the receptionist of the hotel of your choice. You might get a free breakfast, free parking or even an upgrade. Dublin is chilly in winter and temperatures in summer don’t rise above twenty-two degrees. You will most likely not need a short summer dress. A comfortable pair of jeans and t-shirt in summer should be sufficient although you can always travel with a backup plan but we suggest to keep the luggage weight as light as possible. A travel guide is usually handy and tells you how to spend your time best over here but don’t hesitate to ask your receptionist for some additional insider tips. Our little hint is to bring a card game to play in the lobby of your hotel. It’s fun and will keep you busy in case of rain. Remember that we have a different plug in Ireland so don’t forget to bring your European adapter. Lastly, bring some energy, a good mood and comfortable shoes to explore our beautiful city of Dublin. Dublin is not the easiest city to get around since it is a very busy business centre. In our opinion, everything is reachable by foot, assuming you like walking as much as we do. If you prefer cycling, Dublin also has a free bike scheme (http://www.dublinbikes.ie/). On the other hand, Dublin Bus, Irish Rail, Dart and Luas connections are very good too. Therefore, Dublin Bus and Irish rail are two Apps which will help you travel easily. Taking a taxi can also be handy in Dublin, especially during the night. MyTaxi will help you to get the closest cab for the cheapest price within minutes. Dublin is a beautiful city and there are numerous attractions to see on your Dublin bucket list: Phoenix Park is beautiful and is the biggest City Park within Europe and is twice the size of New York Central Park. The President resides over there and you can combine it with a visit at Dublin Zoo. River Liffey is known by its famous bridges that cross it. Every bridge has a different meaning and back in the days, the water was even used to brew Guinness. Temple bar area is definitely worth a visit. Even though it is more expensive than other areas, it is a must see. Trinity College, built on order of Queen Elizabeth I, is stunning. You should go and check it out. Dublin Castle, with its beautiful gardens is another place we suggest. Besides, it’s for free. 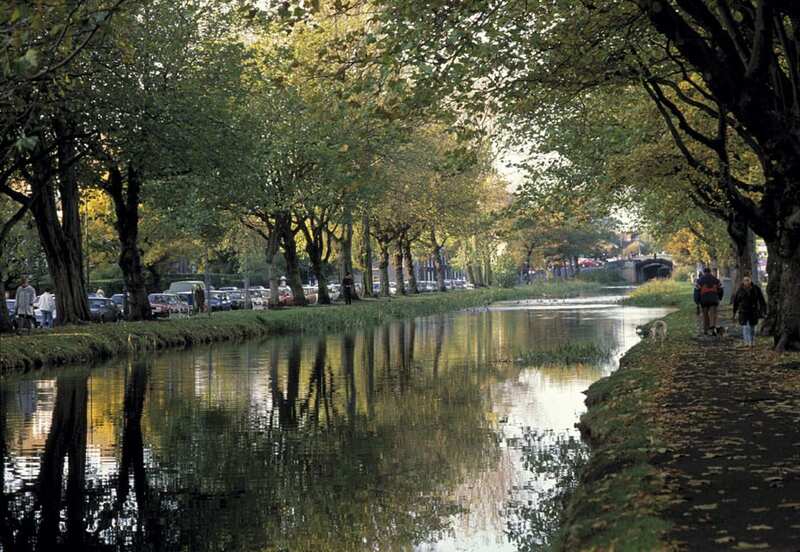 A walk in Merrion Park, where the statue of Oscar Wilde is to be found, is great in summers. Also, Stephen’s Green Park with its numerous statues is nice to see. Dublin has lots of eating out possibilities but we suggest that you try the Irish kitchen first. Pubs are perfect for that and you can combine your evening meal with a nice Pint of Guinness or Kilkenny which are traditional Irish beers. Afternoon Tea, which is surprisingly the national drink, is served in many places including our Davenport Hotel. You should come and try out a nice cup of tea with a delicious piece of pie. Please notice, Ireland is famous for its pies. Dublin also offers a lot of wallet-friendly places to eat. You can have a quick bagel or just some noodles throughout the city. If you would like to have nice dinner somewhere, why don’t you go and check out the Ivy or Chapter One. Anyways, Dublin has switched from a traditional kitchen to a modern place which offers any kind of food from low budget to high class. The Irish like their drink as you might already know. Nightlife in Dublin is very diverse. In Camden Street, you will find many pubs and clubs where you most likely will cross lots of students. Flannery’s is a nice bar to visit in that area. Be aware that most clubs require an entrance fee between five and ten euros. Harcourt Street is another very popular area, were you’ll find Dicey’s. This venue serves pints for no more than two euros on a Thursday. You should keep some money to visit Copper Face Jacks, which is right next to it. It’s a very popular place in Dublin and a drink there might be worth it. 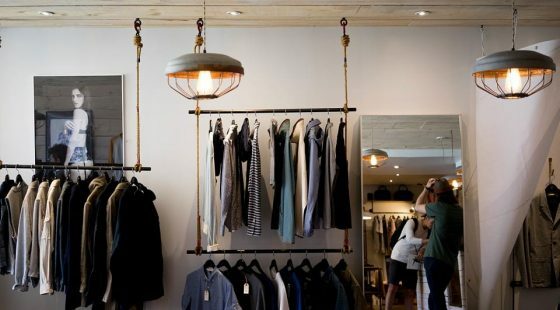 If you don’t mind spending a little more in a nice area, Dawson Street is the place to go. You’ll find whiskey bars, cocktail bars and many other wine bars in this area. 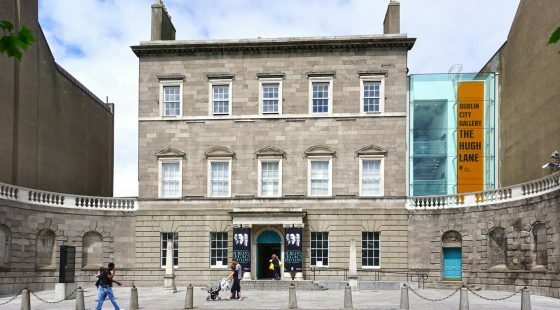 From books, to luxury clothing, Dublin offers everything. Grafton Street is probably the most popular one. It offers luxury shops such as Brown Thomas, Chanel and many more. Close to this area you’ll also find Stephan’s Green Shopping Mall with slightly cheaper shops such as United Colors of Benetton and Zara. On the other side of River Liffey, you’ll have Henry Street and O’Connell Street with shops such as Penney’s, Clarks and H&M. Dublin also has Shopping Centres in the surroundings such as Dun drum and Blanchardstown. Dublin offers many spots with free Wi-Fi, starting at the airport. If you’ll ever have to wait for anyone at the airport, just make yourself comfortable with your laptop and work, watch a movie or scroll through Facebook. 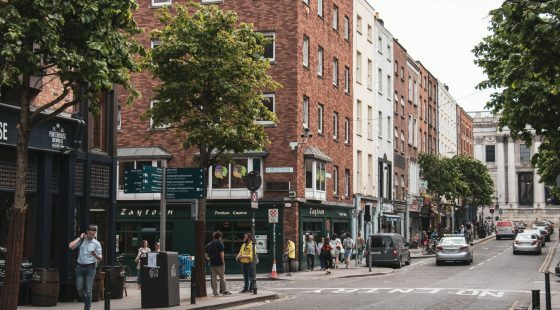 Since Dublin is a working city, lots of cafes offer connection to internet as well. One of the most famous ones is 3FE, it’s famous for its good coffee so it might be worth a try. If you prefer to contact your family in an old-fashioned way, you can buy postcards at almost every corner. Carroll’s Irish gifts sell three cards for only one euro so maybe it’s worth going back in time. You’ll recognise the post boxes on their fancy Irish green colour. It is also possible to get a prepaid sim card, while you are staying here, which gives you access to all you can eat data without entering any kind of contract. Or if you just would like to enjoy your stay here, put your phone away and talk to each other.